Lay counselors bring HIV testing and counseling services to Mozambicans directly where they live. This government-sponsored program has reached more than 1.2 million people with support from the U.S. Centers for Disease Control and Prevention and Jhpiego. Matola, Mozambique—The day began like most others for Guilhermina Marcos, a lay counselor with the government’s community-based HIV testing and counseling services. Before leaving her home, she checked her backpack to ensure that she had everything she needed to provide testing and counseling in homes, refer residents to health facilities and follow up to be sure that all who tested positive are enrolled in care and treatment. In this industrial port city of 675,422 residents, the estimated HIV prevalence rate is 13.7 percent, higher than the national average of 11.5 percent. Lay counselors like Marcos are key players in helping connect Mozambicans with health services so they can receive appropriate treatment for HIV and address other health issues. 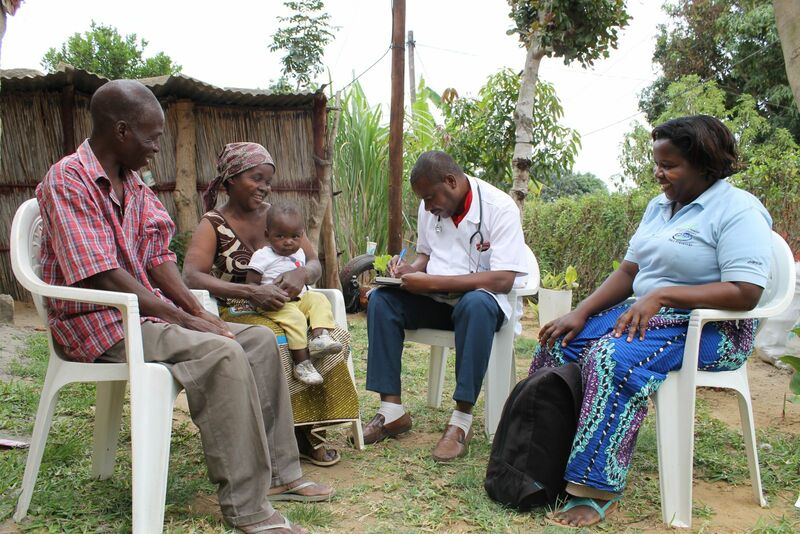 The Mozambican Ministry of Health (MOH) has been offering this innovative, home-based service since 2008, and since then, has provided testing and counseling services to more than 1.2 million people. Jhpiego, with funding from the President’s Emergency Plan for AIDS Relief and in partnership with the U.S. Centers for Disease Control and Prevention (CDC) and the MOH, supported the implementation and expansion of this ambitious and strategic, door-to-door approach. Nine local community organizations are among the partners carrying out this successful initiative to reduce deaths related to HIV/AIDS. 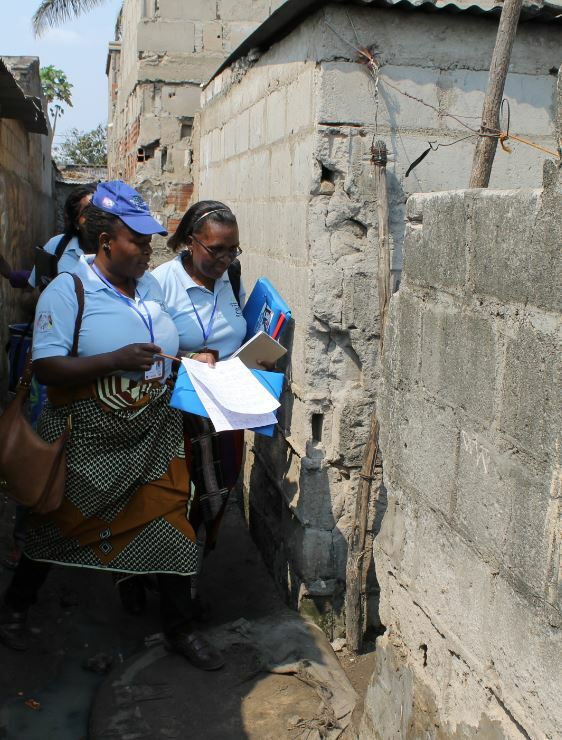 Nearly 200 lay counselors are the backbone of Mozambique’s HIV community testing and counseling program, a partnership of local organizations, the CDC and the Ministry of Health. On a spring day, Marcos walked the neighborhood of Bunhica, and stopped at the home of Inácio Nhamue Aminosse and Andrieta Manuel. The couple invited Marcos into their house. “I started counseling the couple and then screened them for a range of health issues, including gender-based violence,” Marcos recalled. The home test showed that Aminosse was positive for HIV and his wife was negative, a discordant couple, as Marcos explained. Marcos finished filling out the referral forms so the couple could access services at the Machava II Health Center. “They assured me that they would go to the health center the next day and asked me if I was available to accompany them. I said yes,” Marcos said. Marcos went the extra mile, as so many lay counselors do, and escorted the couple to the health center so the husband could easily access the care and treatment he needed. The health center confirmed his HIV status and TB diagnosis. “There, they received counseling for TB and the nurse explained to the couple the precautions and steps for successful treatment,” Marcos said. After a few weeks, Marcos returned to the couple’s home during one of several follow-up visits, accompanied by Dr. Alberto Matchavane, director of Machava II Health Center. A dedicated professional, Dr. Matchavane confirmed that Aminosse was following all the instructions given to him at the health center and that his wife was properly supporting and caring for him as needed. With support from Jhpiego, the nine community groups carried out the integrated testing and counseling activities in the field and followed up on 42,031 HIV-positive cases. They linked 147,997 people to treatment for other conditions and 29,643 eligible men were referred for male circumcision, a key HIV prevention procedure.